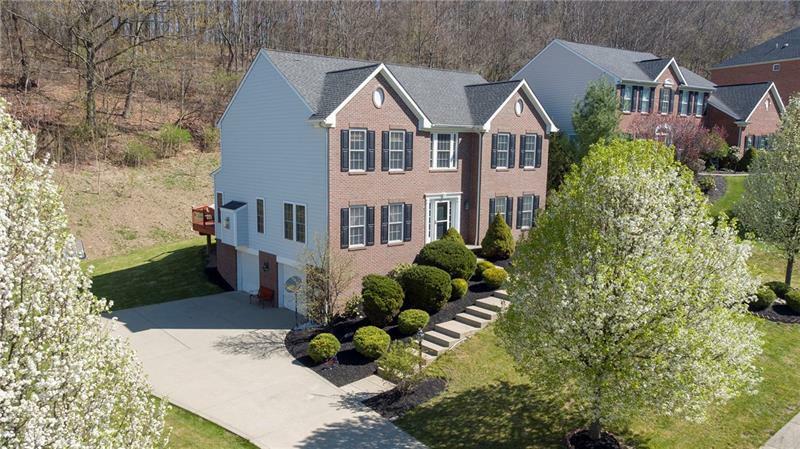 Welcome to a lovingly maintained home in the picturesque neighborhood of Parkes Farm in the South Fayette School District. 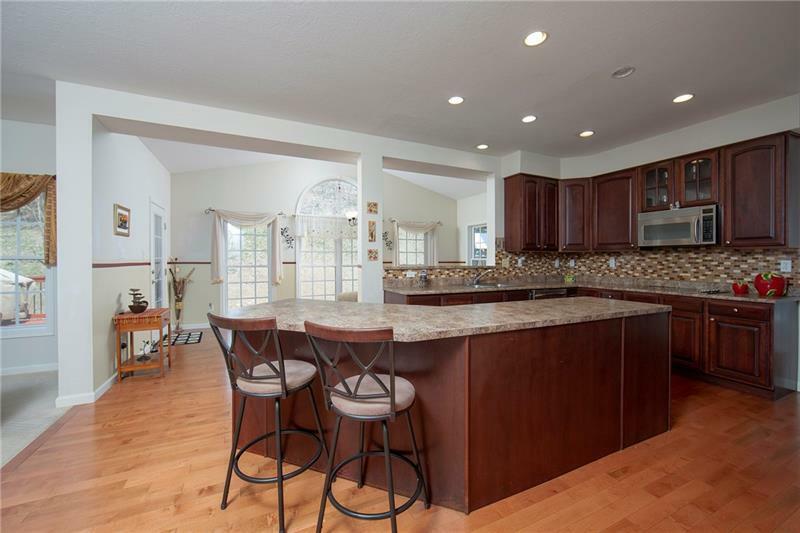 This Westmoreland Model home features 9ft ceilings on the main floor. Hardwood floors and crown molding abound while French doors open from the formal living room to the family room. a very cozy finish to this light and airy room is the gas fireplace. The eat-in-kitchen with its angled kitchen island, features an abundance of oversized cabinets, pantry and gorgeous view. 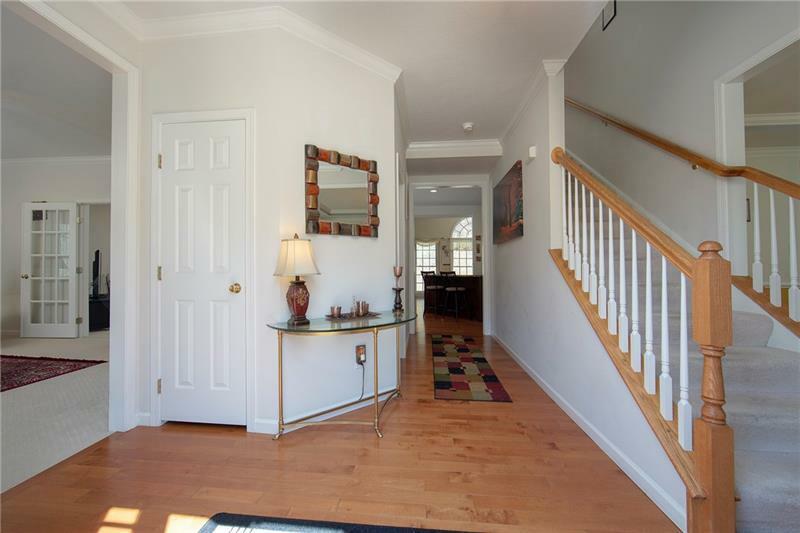 walk out from the kitchen to the freshly stained deck and private rear yard. The upper level offers four generous bedrooms and ample closet space. Master bedroom is complete with walk-in-closer, master bath, jet tub and ceramic tile floors. Finished lower level leads to a 3 car garage (2 doors). Fabulous location - just minutes to 79, shopping, restaurants and Southpointe Easy to show.